The response earned by Ardern plaudits around the world – and has now prompted a tribute to the leader. Ardern's face was projected onto Dubai's Burj Khalifa, the tallest building in the world, on Friday.
" 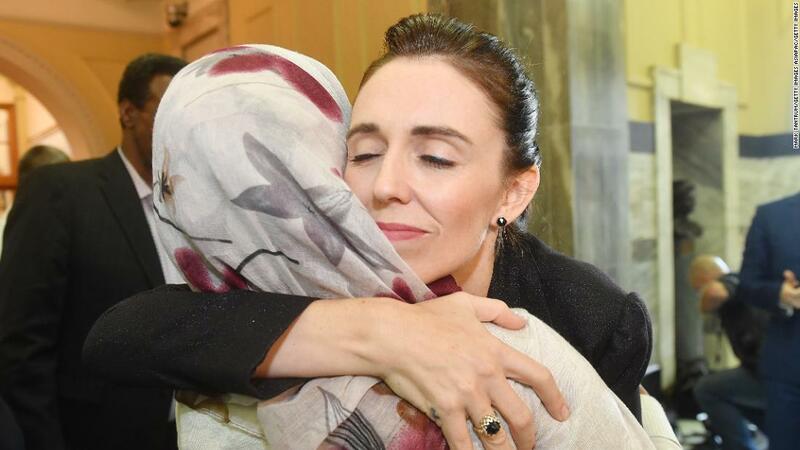 Thank you PM @jacindaardern and New Zealand for your sincere empathy and support that has won the respect of 1.5 billion Muslims after the terrorist attack that shook the Muslim community around the world, "Dubai's prime minister Sheikh Mohammed wrote on Twitter. The building lit up with an image of Ardern hugging in New Zealand in the aftermath of the attack, alongside the message "peace." Standing at 830 meters, the Burj Khalifa is the world's tallest structure. "New Zealand mourns with you; we are one," Ardern told the Mus lim community during a call to Friday on Friday. Quoting the Prophet Mohammed, she added: "The believers in their mutual kindness, compassion, and sympathy are just like one body. When any part of the body suffers, the whole body feels pain. " The terror attacks on two mosques on March 15 left 50 people dead.